It has been almost a year since World of Color, DCA's nighttime spectacular, closed for refurbishment. The show was scheduled to return on June 22 with the debut of Pixar Pier, but Disney then announced an "extended refurbishment" for the show. Online rumors were that a portion of the computer-controlled show system was damaged during the refurbishment. Disney then missed its "late 2018" estimate, and the Disneyland website was updated to say simply the show would return "soon." It now looks like soon begins on February 22, when the show begins a week of "soft opening previews" ahead of an official March 1 return. 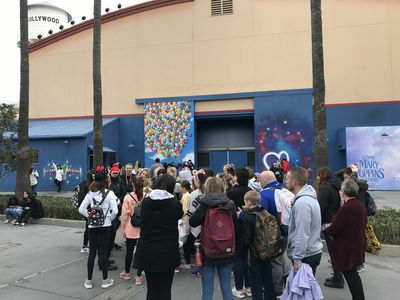 Disney has not made an official announcement, but over the weekend, the Disneyland website briefly reopened reservations for the World of Color dining package and the World of Color dessert party. At press time, dining package dates no longer appear on the website, but visitors can still book the dessert party starting February 23 (February 22 is already sold out). The World of Color did not return in time for 2019 Lunar New Year, but the show is expected to be back as early as February 22. MousePlanet file photo. It's been more than 20 years since The Lion King Celebration parade last roamed through Disneyland, although some of the floats from that parade live on as part of the Festival of the Lion King show at Walt Disney World's Animal Kingdom. Starting this summer, Disney California Adventure will host another celebration of The Lion King, this time to promote the release of the new live-action film that will debut in theaters on July 19. According to the Disney Parks Blog, "Throughout the day, a traveling troupe of storytellers will arrive to celebrate The Lion King in story, song and dance, inviting everyone to join in. The fun continues with music, colorful craft activities and more, honoring the spirit of Africa." The official announcement provided no details about when or where the new offering will take place, but Disney will hold auditions this week for "powerful gospel singers with excellent musicality and storytelling skills to portray characters of West African heritage," as well as "high-level hip-hop/funk and African dancers." Another casting call notes that the show begins rehearsals in late May, and is set to run summer through September 2019. A full-color print of Herb Ryman's concept art wraps the front of Sleeping Beauty Castle during refurbishment. Photo by Adrienne Vincent-Phoenix. Disneyland's iconic Sleeping Beauty Castle is currently closed for a $300,000 makeover that includes replacing the building's roof. 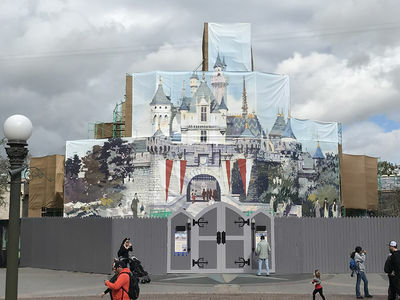 Because Disneyland visitors don't want to take vacation photos in front of a castle that's surrounded by scaffolding and construction walls, Disney has once again wrapped the structure with a full-color version of Imagineer Herb Ryman's artwork for Sleeping Beauty Castle. 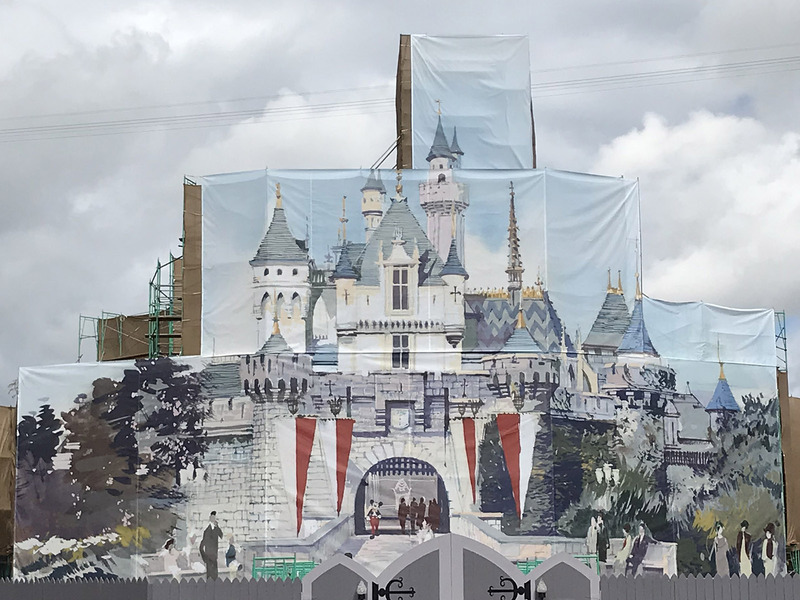 The temporary artwork provides visitors with something more attractive than construction scaffolding for their Disneyland vacation photos. Photo by Adrienne Vincent-Phoenix. 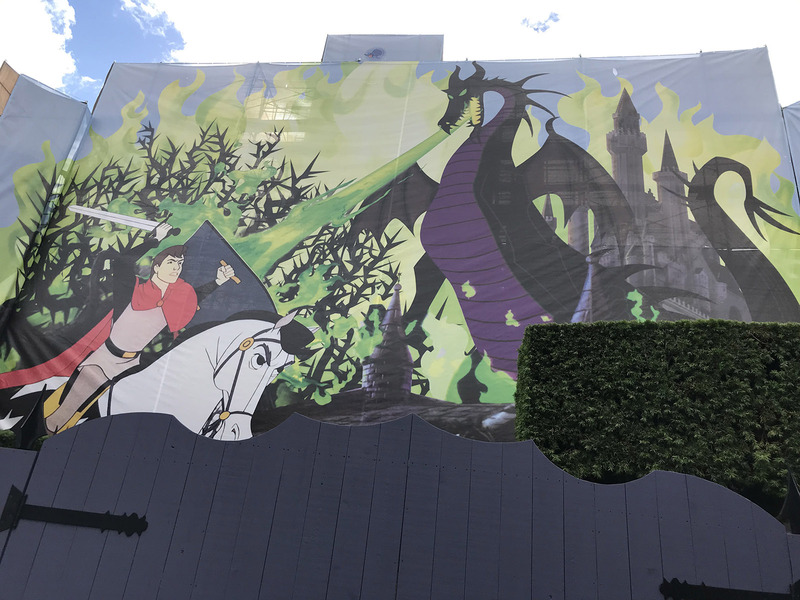 The Fantasyland side of the scaffolding now features an oversized image of Prince Phillip battling Maleficent in her dragon form. Look for both of these pieces to be through spring 2019 while the refurbishment continues. An image of Prince Phillip battling Maleficent decorates the Fantasyland side of Sleeping Beauty Castle. Photo by Adrienne Vincent-Phoenix. ...Monday, February 11 is Anaheim Ducks Day at Disney California Adventure. Fans of the Anaheim Ducks can celebrate their team's 25th anniversary as the team takes over Hollywood Land today. Stage 17 will serve as fan headquarters, where Ducks fans can see a collection of team memorabilia, take photos with Ducks mascot Wild Wing, and play around at table and air hockey offerings. Outside Stage 17, fans can buy some new souvenirs, including limited edition Anaheim Ducks Day apparel. Anaheim Ducks players will participate in a cavalcade at 1:15 p.m., with viewing along Hollywood Boulevard and Buena Vista Street. Players and alumni will also participate in meet-and-greet sessions with fans outside Stage 12 at 2:15, 3:15, and 4:15 p.m. Fans who want to meet a Ducks player must obtain a wristband from a distribution location inside Hollywood Backlot starting at park opening (8:00 a.m.) on February 11; fans are limited to one meet-and-greet, and space is limited. Demolition work is visible on the exterior of a Bug's Land Theater in Disney California Adventure. Photo by Todd Pickering. ...Disneyland released the next in a series of three popcorn buckets this weekend. 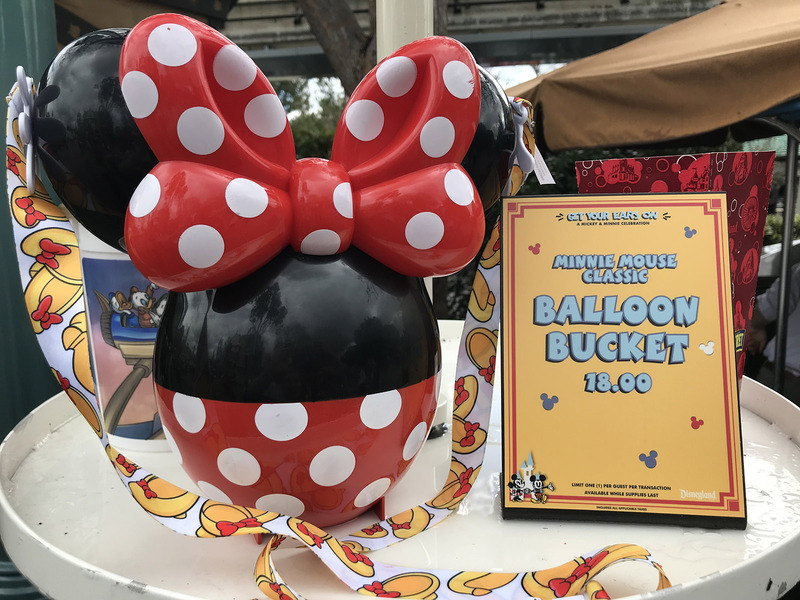 The Minnie Mouse balloon popcorn bucket is $18, and available throughout Disneyland and Disney California Adventure. Unlike the Annual Passholder-exclusive Steamboat Willie popcorn bucket released earlier this month, this bucket is not eligible for $1 refill. The Minnie Mouse popcorn bucket is second in a series of classic character balloon buckets. Photo by Adrienne Vincent-Phoenix. ...Disney has filed for a demolition permit of the bar inside the vacant ESPN Zone. The restaurant closed last summer to make room for construction of a planned fourth hotel. The hotel project was canceled last fall, but Disney has not announced future plans for the restaurant or the vacant neighboring Rainforest Cafe building. ...Disney has also filed for building permits to build a new meet-and-greet set outside Stage 12 in Hollywood Land. This could be intended for Captain Marvel when she makes her DCA debut. The Captain Marvel movie debuts Friday, March 8. The exterior of Stage 12 is currently home to the Instagram walls, which have proven so popular with social-media obsessed Disney fans. Visitors wait to take photos against the Instagram-ready photo backdrops outside DCA's Stage 12. Photo by Adrienne Vincent-Phoenix. Disneyland's Fantasmic is dark through March 7 for refurbishment. Photo by Todd Pickering. Save time and money at Disneyland. TouringPlans.com can help you avoid falling into the typical tourist pitfalls with our per-park Crowd Calendar, Lines App with access to current and estimated wait times, and Touring Plans detailing the best plan of attack for hitting the attractions. Our trip planning tools show you the least crowded park to visit every day, customized touring plans for visiting Disney's best rides, honest restaurant reviews, how to save on Disney tickets, and so much more. Below are the predicted resort-wide crowd numbers for select days generated by the TouringPlans professional statisticians as measured for the upcoming week. For the access to the full year and per-park crowd level predictions, visit our Disney Crowd Calendar. See Disneyland crowds for the next 365 days. Get Disneyland wait times on your iPhone, Android, or smartphone. Splash Mountain – closed through February 14 for refurbishment. 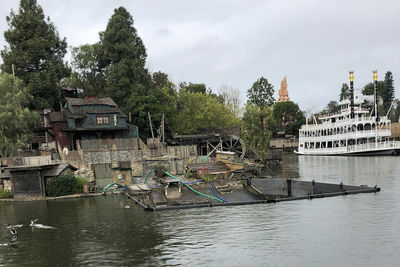 Fantasmic – closed through March 7 for refurbishment. Sailing Ship Columbia – closed through March 7 for refurbishment. Astro Orbitor – closed through at least March 24 for refurbishment..
Sleeping Beauty Castle Walkthrough – closed through at least March 24 for refurbishment. Sleeping Beauty Castle Enchanted Chamber – closed through at least March 24 for castle refurbishment. Mint Julep Bar – closed February 18 to March 1 for refurbishment. Space Mountain – closes February 25 to March 14 for refurbishment. Indiana Jones Adventure – closed March 19–21 for refurbishment. 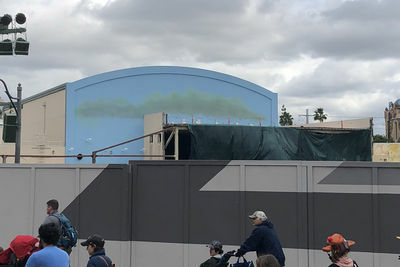 World of Color – closed for refurbishment. Soft openings will begin February 22, with the official return slated for March 1. Grizzly River Run – closed through at least March 24 for refurbishment. Silly Symphony Swings – closes March 1 through at least March 24 for refurbishment. King Triton's Carousel – becomes Jessie's Critter Carousel, opening in 2019. All of these Downtown Disney businesses closed to make room for construction of a planned fourth hotel. Now that the hotel project in canceled, we're waiting to see what Disney does with the vacant buildings. Lunar New Year celebration at Disney California Adventure – now through February 17. Gay Days at Disneyland (unofficial event) – March 2. More information on the event website. Disneyland After Dark: 90s Nite (sold out) – Thursday, March 6. 2019 CHOC Walk – Sunday, August 11. Thanks to the efforts and generosity of our readers, Team MousePlanet has raised over $75,000 for CHOC Children's since 2008. We invite all MousePlanet readers, friends, and family to join us at the 2019 walk, and will share registration information as soon as we have it. Advance purchase Two-Day tickets – check for current discounts and promotions from Get Away Today. Advance purchase Three-Day tickets – check for current discounts and promotions from Get Away Today. *The Limited-Time Special Ticket Offer is valid for travel January 7 through May 23, 2019, excluding the spring break blockout of April 14–22, 2019. The price is the same for all ages 3 and older, and each ticket includes one Magic Morning entry. Tickets must be purchased by May 18, 2019. You must use all entries within 13 days of the initial entry. +The Limited-Time Southern California Resident is valid for travel January 7 through May 23, 2019, excluding the spring break blockout of April 14–22, 2019. The price is the same for all ages 3 and older, and each ticket includes one Magic Morning entry. Tickets must be purchased by May 20, 2019. There is no fuse on this ticket. Purchase with Purchase offers – Disneyland Resort shops frequently offer a reduced–price souvenir (often a tote bag, watch, or blanket) with a qualifying minimum purchase. These are offered at Disney-operated stores only, and selection may vary by location. Character Dining Vouchers –Disneyland is no longer offering tickets or vouchers to be pre-purchased for Character Dining. Reservations can still be made 60 days in advance with payment due at the restaurant. Disneyland Resort merchandise – Disneyland has once again extended the additional 20 percent merchandise discount offered to Disney Signature Plus, Disney Signature, Disney Premier and Premium annual passholders, this time through December 31, 2019. All other passholders receive a 10 percent merchandise discount. Visit the Annual Passholder discount page for specific details and exclusions. Guided Tours – 15 percent off the regular price of six guided tours – Walt in Walt's Footsteps; Cultivating the Magic; Discover the Magic; Happiest Haunts; Welcome to Disneyland; and Holiday Time at Disneyland. Visit the Annual Passholder discount page for specific details and exclusions. Dining – 10 to 15 percent off at a variety of Disneyland Resort locations, including Disney-owned and independent restaurants. Visit the Annual Passholder discount page for specific details and exclusions. Disneyland Resort merchandise – Cardholders also receive 10 percent off qualifying merchandise purchases of $50 or more from Disney-operated retail stores. Disneyland Resort dining – 10 percent off at selected Disneyland Resort restaurants, (Big Thunder Ranch, River Belle Terrace, French Market, Cocina Cucamonga, Wine Country Trattoria (lunch), Paradise Garden Grill, The Lounge at Steakhouse 55 (breakfast), Steakhouse 55 (breakfast), PCH Grill (breakfast and dinner), and Storyteller's Café (lunch). Downtown Disney District dining and merchandise – 10 percent off at Ralph Brennan's Jazz Kitchen (maximum discount of $40, excludes alcohol), Wetzel's Pretzels and Alamo Rent a Car. Disneyland Resort Guided Tours – 15 percent off the "Welcome to Disneyland," "A Walk in Walt's Footsteps," "Discover the Magic," and "Cultivating the Magic" guided tours. +The Limited-Time Southern California Resident is valid for travel January 7 through May 23, 2019, excluding the spring break blockout of April 14–22, 2019. The price is the same for all ages 3 and older, and each ticket includes one Magic Morning entry when purchased in advance of the visit. Tickets must be purchased by May 20, 2019. There is no fuse on this ticket. Disney does not publish the actual discounted rates, and instead asks eligible U.S. military personnel to call (714) 520-7088 to check pricing, availability and to make reservations. In past years, the offer was generally 30-40% off, based on room category. That's a pretty modern looking Mickey Mouse drawn into the Herb Ryman artwork covering the castle. Was that an addition or did he really have that in his original? 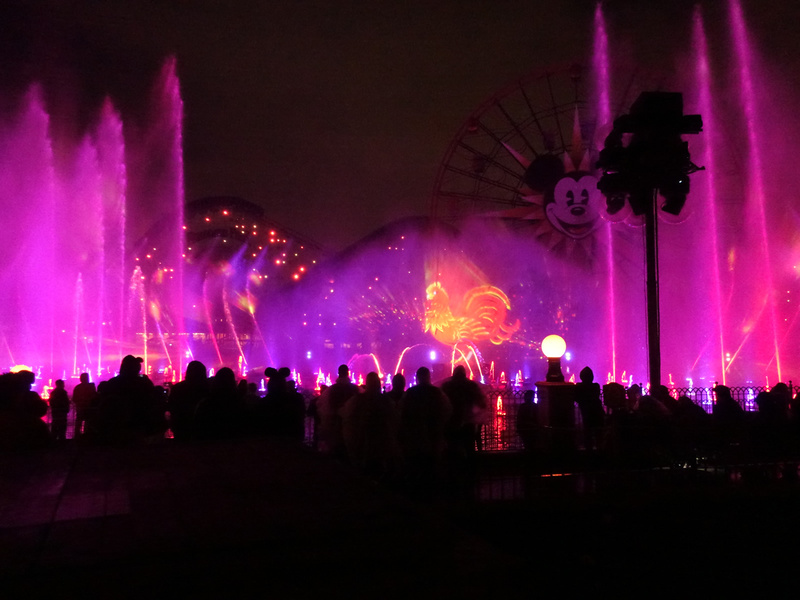 Thanks for the info on World of Color coming back in a couple of weeks...I've already booked the Dessert Party during my next trip! Also...I LOVE the Minnie Mouse popcorn bucket; I hope they still have them in two weeks as well.